Effect: The maximum possible concentration of xylitol has an optimal tooth-conditioning effect. Recommended Use: After each meal and the last brushing of the teeth slowly let the candy melt in the mouth. After that 20 min. do not eat or drink anything. Keep the xylitol in the mouth as long as possible. 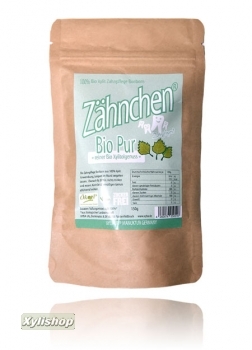 * certified by Ökop GmbH from organic farming. 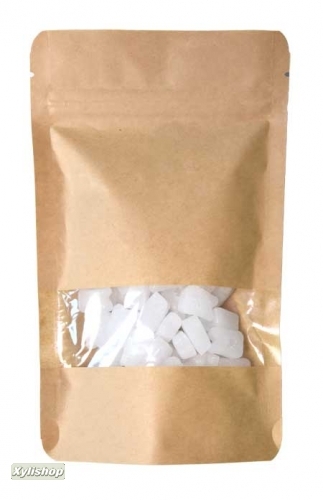 Jetzt noch feiner: Premium Xylitol Pulver aus Finnland mit Bio Vanille von XYLIPUR® im 150g Vorratsbeutel mit Zippverschluss. Echte gemahlene Bio-Bourbon-Vanille*. *DE-024 Öko Kontrollstelle. Zu Erkennen an den kleinen schwarzen Vanillepunkten.